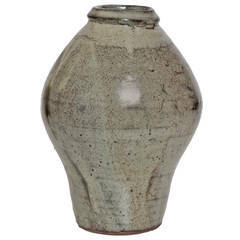 Trevor Corser ceramic vase from The Leach Pottery, St. Ives, England. Pottery from Morocco. 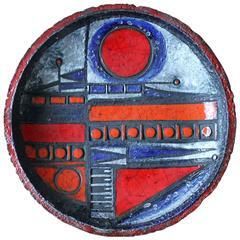 The design is inspired from Swedish midcentury pottery like Stig Lindberg. Pottery from Morocco. Inspired by Swedish midcentury pottery like Stig Lindberg. Pottery from Morocco. Inspired by Swedish midcentury style like Stig Lindberg. 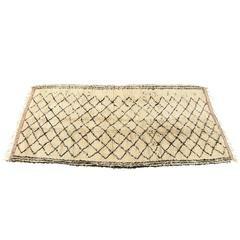 Vintage Beni Ourain rug from Morocco, circa 1980. Very good condition. French pottery cider bottle from Normandy, end of 19th century. 13 bottles available, sold separately. Different sizes. This is a vintage grotesque face jug from a pottery studio in Buffalo, New York. This is all one piece, the lid does not lift off of the jug. Vintage Romanian redware pottery from Transylvania. Hand-painted carafe, folk art. 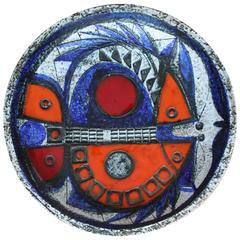 A wonderful work by renowned ceramic artist Stephen Polchert (1920-2008). Polchert attended Cranbrook Academy in the 1950s and was an assistant and friend of Maija Grotell.